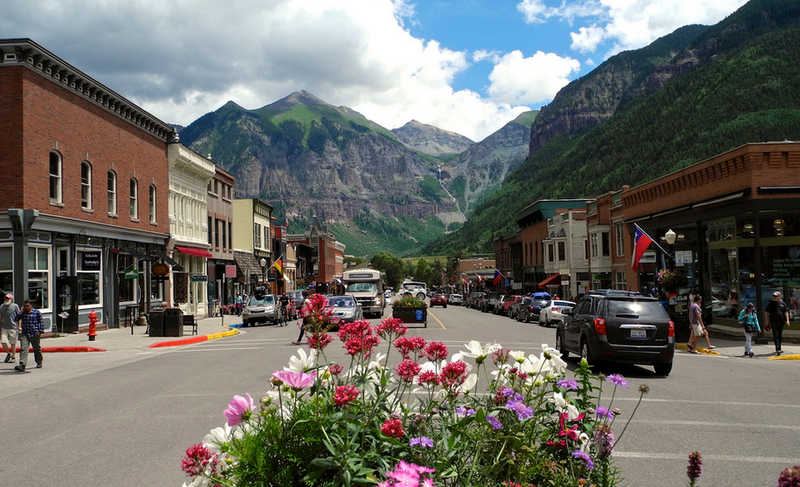 If you also love some small town charm in the mountains, you will love Telluride in the winter or summer alike. 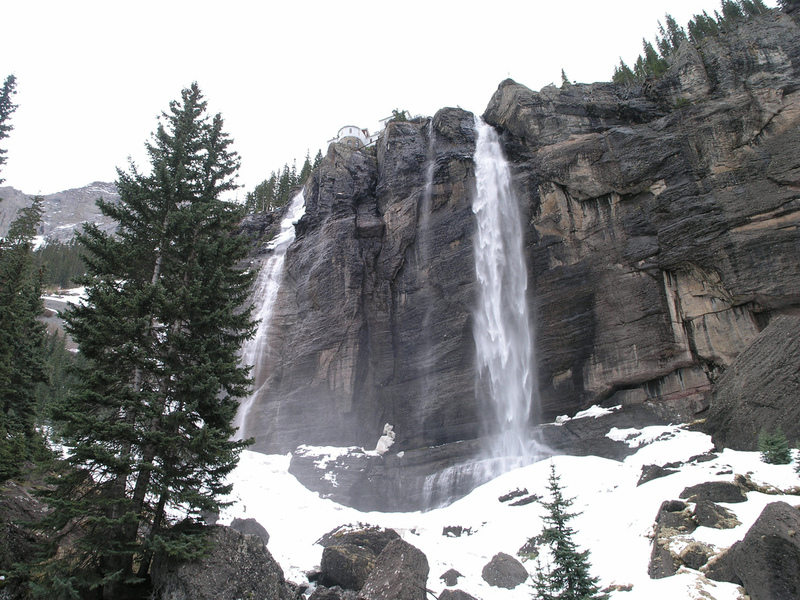 The small Colorado town of only 2,300 inhabitants is located in southern Colorado, in the San Juan Mountains. There are lots of things to do in Telluride in all seasons and for all visitor types from families or couples through groups of friends. Experience a little piece of the old Wild West in Colorado this year! If you are already planning a trip to this small town or any other similar place in the area, you should start searching for the best travel deals in time, until the cheapest ones sell out. Compare the prices of the providers and find great offers. The town was founded under the name of Columbia in 1878 as a silver mining camp. They have mined silver on the San Miguel River and later the town was renamed after the gold telluride minerals found in the area. Because of the narrown mountain roads, Telluride only grew slowly as more and more people came with mules and wagons in the search of gold and wealth. Even the notorious bank robber, Butch Cassidy had a part in the history of the town as he robbed its bank in 1889. As this was his first notable crime, we could say that he started his infamous career in Telluride. 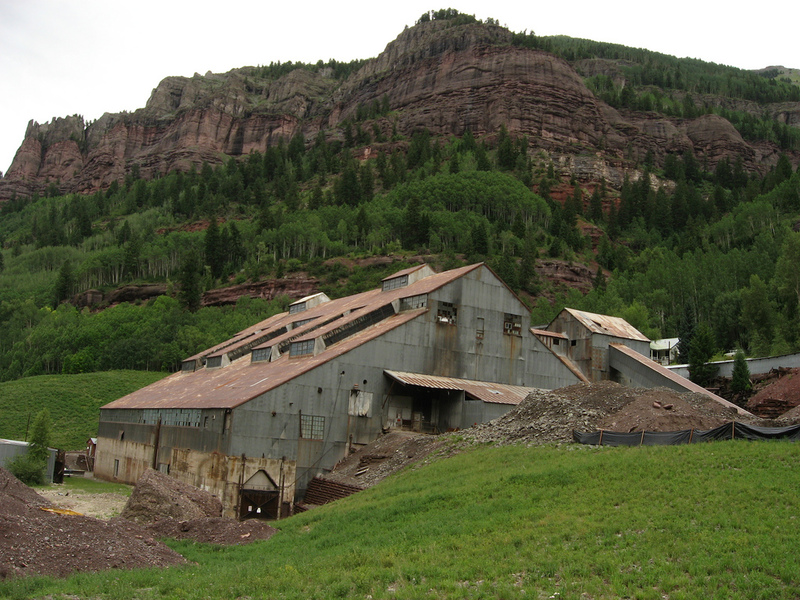 The Telluride Ski Resort and the first ski lift were installed in 1972 and since then the main industry of the town had switched from mining only to tourism: snowy sports in the winter and hiking, fishing and a lot more in the summer. The surrounding mountains, lakes and nature plus the cozy lodges have something to offer to every traveler. Telluride is the perfect spot for adventure lovers in the winter, it is a huge playground for adults who are not afraid of a little challenge. 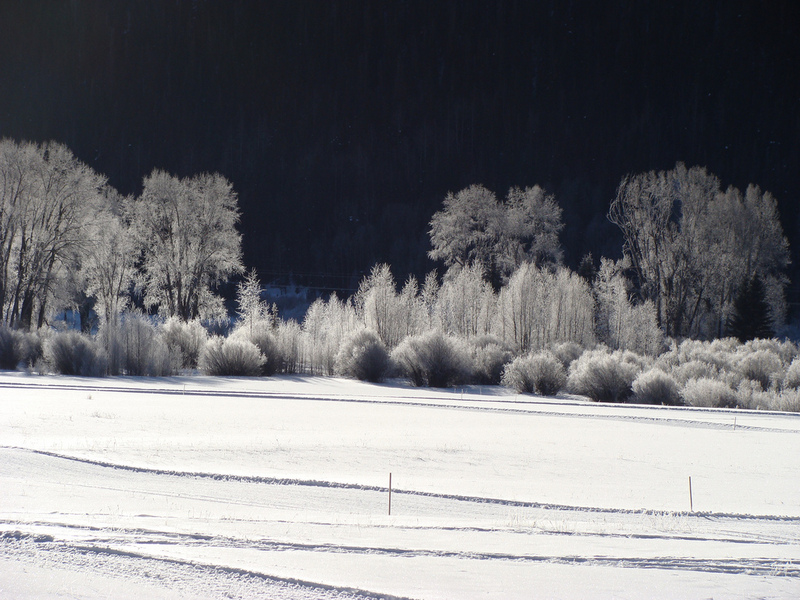 Whatever you can imagine about winter fun, Telluride has it. The Telluride Ski Resort has got world class facilities and services, still, you can go skiing and snowboarding as in many other winter resorts as well. But what do you say about a dog sledge in the forests or how about some real ice climbing in the Quaray? If you want something more elegant and relaxed, you can try ice skating or just enjoy one of the hot springs of the area. 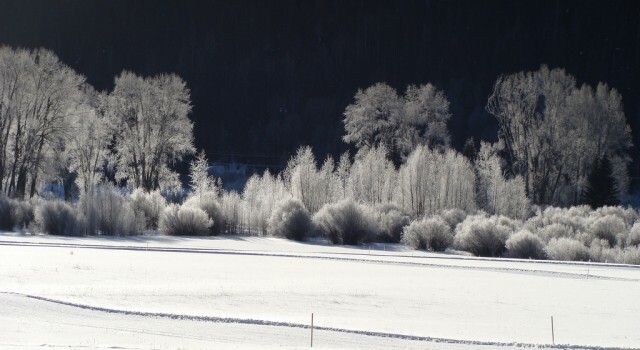 If you are an expert in skiing and are daring enough, you can also hit the valley floor and try some Nordic skiing as well. It is the form of skiing where the heel on your boot is not fixed which makes the sport even more exciting. The most daring also have the opportunity to spend a bright winter day with some backgcountry skiing or snowboarding. But note that this form of the sport is only for real experts with all the right safety gear and proper knowledge. You want to see all the beauties of San Miguel Mountain but have not with all the exercise? If your budget allows it, you can go on an unforgettable helicopter tour above the peaks and admire the raw wildness nature. Tens of activities await you in the summer as well involving anything from outdoors to arts. You can participate in the exhibitions, lectures and art classes of Ah Haa School for the Arts that offers art camps and after school programs for kids and landscape photography, ceramics or even silk painting classes for the adults. If you are up for some exercise, climb the Ajax Peak and admire the breathtaking view, go on an ATV or motorcycle tour around on the Jan Juan Skyway or energize yourself by hiking Ballard Mountain and get lost in the beautiful rawness of San Juan Mountain – in a figurative sense only! 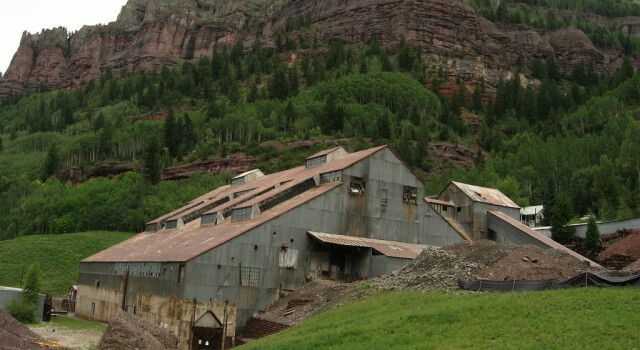 In case you have your own car or you rented one, you should visit the ghost town of Animas Farms. It is very well preserved and the road through the mountains is at least half the fun. 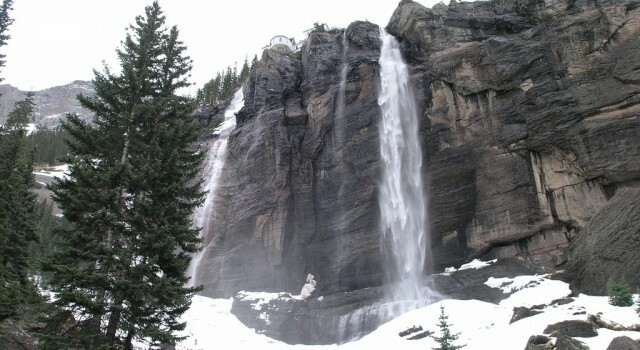 Bring your camera along when you visit the Bridal Veil Falls which is the tallest waterfall in the state and is surrounded by the scenic Bridal Veil Basin. You should spend one day relaxing in Dunton Hot Springs. This beautiful ghost town resort is located just outside of Telluride and has hot springs, a 5 star kitchen, massages and the possibility to go horseback riding. You can also feel yourself in the Wild West by staying in one of their refurbished cabins that used to give home to miners or in the Saloon where you will have your meals. The town of Telluride may be small, but as a resort it has dozens of places where you can dine from fast foods and cheaper restaurants like. Have some great baked goods for breakfast at Baked in Telluride, eat all American in Big Billie’s, try Brown Dog Pizza with its East Coast style pizza or Cornhouse Grill for some hot sandwiches, salads and burgers after a long day of skiing or hiking. You can also finish a long day in Telluride with some fine dining in one of the high end restaurants of the town. Allred’s Restaurant may be a little expensive, but they serve amazing regional and organic food. Alpino Vino is a beautiful chalet in European style with beautiful view from over 11,000 feet high where you can find great wines, good cheese and Italian food as well. For a pan-Asian food experience go to Honga’s Lotus Petal or try one of the many other great places.